General Medical Council data shows that from June 1, 2016, to March 13, 2019, 32 medics were investigated for breaching rules on remote prescribing. Twelve cases are still live, 20 have concluded and one doctor involved was suspended for “dangerous” prescribing. Some were told to follow guidance, one was handed a warning, while others resulted in no action. An investigation by this paper revealed that in the past five years coroners nationwide have ordered urgent action after linking at least 12 deaths to legal online prescription drugs, such as deadly opioids. This month Dr Helmy Mohamed was suspended for sending an online prescription for opioid drugs without assessing the patient properly, telling them how to take the drugs or informing their GP. His tribunal concluded “there was a high risk of intentional or unintentional overdose, dependence, tolerance and side effects”. The GMC is currently deciding how to close legal loopholes which allow addicts to use internet sites to buy potentially deadly prescription drugs without seeing a doctor. Online chemists allow people to fill in a simple form to order opiates such as fentanyl, morphine, Tramadol and OxyContin, plus sedatives like Valium and potentially dangerous slimming drugs. A computer generates a prescription which is signed off by a doctor, which then allows a chemist to dispense. Dr Owen Boden-Jones, consultant psychiatrist and drug abuse expert said the GMC figures were the tip of the iceberg and could be hiding an “emerging health crisis”. He said websites were geared up for bulk buying and that online you could easily buy hundreds of tablets. In one case, being investigated, a patient died after buying 3,700 codeine tablets from 21 registered online pharmacies. Another includes the death of a student linked to a super-strength opiate – Acetylfentanyl – available only over the internet. 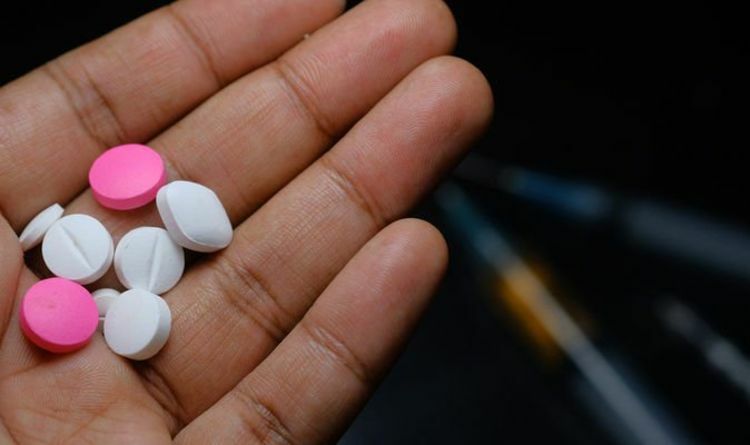 The GMC is talking to the General Pharmaceutical Council, Medicines and Healthcare Products Regulatory Agency and General Pharmaceutical Council to develop stricter measures so that online pharmacies stop supplying opiates.